Gary Chapman’s groundbreaking book, The Five Love Languages: How to Express Heartfelt Commitment to Your Mate, has been a bestseller for years. The book sums up nicely the way each of us desires to experience love. It is important to understand not only your own love language but also your partner’s preferred way of receiving love. We assume that others think and feel like us, they don’t. You and your partner are as different as your parents and his parents. The challenge is when you speak different love languages. Rarely do couples share the same love language. If we want to receive love expressed a certain way, then we automatically assume that our partner also desires love back in the same way. You can be married for decades, by the way, and never figure this out. You know your partner loves you intellectually, but you don’t feel it daily because you’re not receiving his expression of love the way you value love. Is what I’m saying landing? For a lasting, healthy relationship, we need to identify our love language and also the language of our partner. Gifts –Some people want to receive a tangible gift. I don’t mean gifts just on the holidays or birthdays. This doesn’t mean a person is materialistic. They may like thoughtful notes in their lunch box or appreciate a partner picking up flowers on the way home or receiving a gift that simply reminds them of their mate. Quality Time – Giving the other person your time, undivided attention and focus are important. Knowing that your partner supports you and is there for you is meaningful for people who value quality time. When your man is in the hospital and you don’t stay overnight alongside him, he may be upset by that if his love language is quality time. Whether quality time is your primary love language or not, you cannot grow together in your relationship and you certainly cannot repair conflicts effectively if you don’t spend quality time together. Words of Affirmation – Words are how you receive encouragement, support and affirmation. If you value words of affirmation, then you like to hear compliments and “I love you.” If words of affirmation mean the most to your man, the flip side is that criticizing him will be extremely hurtful to him. Does that make sense? Acts of Service – Helping with a chore and lending a hand is what some people appreciate. If the dishwasher is full and you make time to unload it after you get home from work or if you do a load of laundry or help pick up paint or groceries on the way home, whatever the task may be, those who value acts of service value your help. The flipside is that if you’re bumming around the house, you may be perceived as lazy and unhelpful. Physical Touch – Physical connections don’t always need to occur in the bedroom. The person you’re with may value handholding, kissing, and cuddling. It means the person feels connected through physical touch and expression. Touch your partner gently on the shoulders when you walk by, give him a kiss on the cheek or a long embrace when you get home from work. What is your primary love language? You can have two primary love languages, by the way. Rank them in the order of importance. Take a quiz online to determine what you value most. You need to speak the same language with your partner in order to have a meaningful, lasting relationship. Be clear about how your partner wants to be loved. You may have to do what does not come naturally to you. For example, you may not like touchy-feely affectionate gestures. Your partner, on the other hand, may love giving and receiving affection. What do you do now? Initially, you may struggle to go beyond what comes naturally to you. It may require effort and discomfort. But growth can only come from discomfort. No one said being in a loving relationship was easy. If you want to figure out what your partner values, then listen to what he complains about the most. If your man complains about not spending enough time with you, then quality time may be his primary love language. Figure this out early in your relationship to avoid becoming two ships in the night that come and go but never truly meet. P.S. If you enjoyed this blog, please share it! P.P.S. Get in touch with eunice@artofdatingnyc.com to claim your complimentary session. 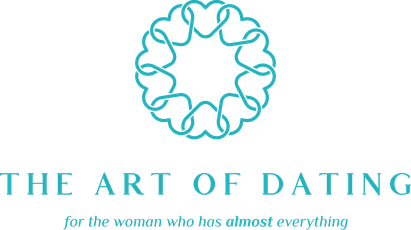 All content on this website is the property of The Art of Dating, LLC and is copyrighted and trademarked. Permission must be obtained before republishing any content. © The Art of Dating™. All rights reserved.